This is no prank. 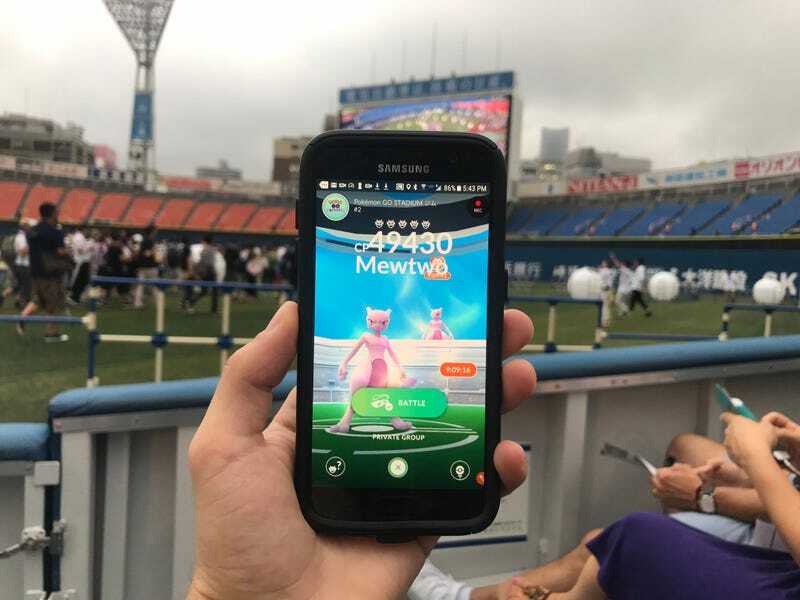 Mewtwo has finally been released as a Pokémon Go raid boss at an event in Yokohama, Japan, as you can see in the above photo by Twitter user and YouTuber MYSTIC7. The character hasn’t yet been announced for other regions. Right now, Mewtwo appears to be limited to the Pokémon Go Stadium event that’s going on during the Pikachu Outbreak event in Yokohama. Last week, a Shiny Pikachu was also released at the festivities.